How Do You Track Campaign Performance? The buyer’s side of the buying process is usually straightforward. A need or want for a certain product arises, research is done to decide on the best vendor with the best price, and a purchase is made (or equipment is financed). What a buyer does not see is the other side of the process, your side. On your side of the process, you put a lot of effort into standing out from your competitors to secure your position as the vendor a buyer chooses and you accomplish that through your campaigns. The purpose of your campaigns is, of course, to move your company toward its end goal; making a sale. But how can you tell if your campaigns are on their way to accomplishing that? The answer may seem simple enough: Take a close look at how your campaigns are performing. The problem is there are factors that can prevent you from getting a clear picture of how your campaigns are doing. I would like to concentrate on two in particular we see often with our clients. Your company’s overall goal is clear. You want to make sales. So what secondary goals can your campaigns be centered around to achieve that? It is not enough to say “I want to reach landscapers” and build a campaign around that. Such an unclear goal leaves too many unanswered questions. What action do you want that audience to take? And more importantly, how does that move you toward your company’s overall goal? You need to lay out a clear goal for your campaign to reach. Will your campaign create opportunities for sales through lead generation? Will it clear the path for sales to be made by creating awareness around your brand? 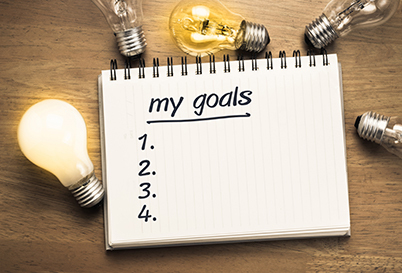 Whatever your campaign goal, it needs to point toward the company’s overall goal. Underneath the umbrella of the campaign goal, you will need to set short-term goals based on measurable data points. For example, if you want your campaign to produce leads (e.g. phone calls, forms, etc), you can set a monthly goal of producing a certain number of leads per month. Or if you are trying to increase brand awareness, your monthly goals can be a certain number of clicks, impressions, video views, etc. With a clear campaign goal and measurable short-term goals, you are able to align your campaign with the company’s overall goal. Because elements of a campaign are subject to change as the campaign goes on, it is important to give a campaign time to run before drawing conclusions. We have seen where in the first three weeks of a campaign, clients want to shift their budget to one platform just because it is currently performing well, but a decision like that could end up working against them. For example, let’s say you are running a Facebook campaign and a display campaign but neither of those are generating the desired results. So you turn off the Facebook and display campaigns and shift your budget and all your attention to your Google search campaign, which seems to be performing well. That change ends up hurting your entire campaign. After looking over the campaign, you learn that people were seeing your Facebook ads and display banners and taking action through Google search. That example makes a lot of sense especially when you consider the old marketing rule of seven which states that a prospect needs to see or hear your advertising message at least seven times before they take action (i.e. buy from you). You have to give prospects time to respond to your campaign before you draw conclusions and make changes. You could have a prospect download a spec guide from your website but take months to become a lead because they are showing that spec guide to their supervisor and discussing the budget they want to put into buying from you. You need to take the sales cycle into consideration and give prospects time to go through its stages before making assumptions about campaign performance. Another element to consider here is how the platforms you use in your campaigns work. It takes at least three weeks for the algorithms on Facebook and Google to decide on which ads to serve to what audience. There is a lot to consider when it comes to how much time a campaign needs to give you a clear picture of how it is performing. For example, are you reaching a large audience that will need more time to respond or a niche audience that is hard to reach? Are you giving your platforms enough time to adjust to what you programmed them to do? What we do here is give a campaign a couple of months to see if the campaign is hitting its monthly goals. If not, we can begin taking a close look at underperforming areas. As a campaign runs, it is important to be able to tell if it is moving your company closer to its overall goal or not. Unfortunately, it can be difficult to get a clear picture of the performance of your campaign sometimes. By taking into consideration the aforementioned factors that hinder a clear view of campaign performance, you will be able to get a better look at how your campaigns are doing.